My husband has type 2 diabetes, and lately he has been frustrated about his blood sugar. Even though he gives himself the proper dose of insulin according to his carbohydrate intake, his glucose levels often don’t go down as much as they should. He has a doctor’s appointment, but can you shed some light about what’s going on? Talking with his doctor, or a registered dietitian or diabetes educator, to gain some insight is a good idea. But many things can affect blood glucose levels. He might need to adjust his insulin, but physical activity, or lack of it, can make a big difference. Worry, frustration and feelings of burnout regarding diabetes have also been associated with higher blood sugar levels, according to a 2010 study in the journal Diabetes Care. The biology and the science behind insulin and blood sugars aren’t as cut and dried as you might wish. Videos with ideas on making smarter decisions at the grocery store. Links to information from authoritative sources. The ability to post questions and experiences — and to read those of other participants. Participants who sign up and view all presentations and videos, complete the quizzes, and submit a final evaluation are eligible for a quarterly drawing for a $100 Amazon gift card. 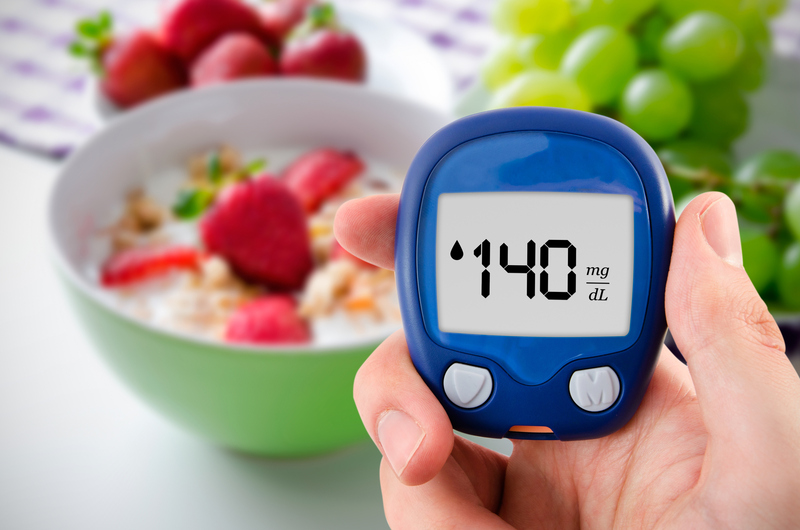 Your husband might particularly be interested in one of the resources available in the course, a blog post from the Joslin Diabetes Center. It describes how a high-fat meal can affect blood glucose, both by slowing the time it takes for the glucose to be digested and reach the bloodstream, and by affecting the liver’s ability to absorb glucose. Depending on your husband’s eating habits, this might help explain what’s happening with him. The online course is an offshoot of in-person Dining with Diabetes classes offered periodically in 27 Ohio counties by OSU Extension. The three-session program, co-presented by an Extension educator and a certified diabetes educator, provides information on menu planning, carbohydrate counting and other topics, and includes live cooking demonstrations of healthy recipes with taste-testing. To find out if the program is offered near you, contact your county Extension office. Find it at go.osu.edu/extoffices. Living with the ups and downs of diabetes can be aggravating. But getting answers to questions when they arise, and connecting with others facing the same issues, can help. Editor: November is National Diabetes Month. This column was reviewed by Dan Remley, Food, Nutrition and Wellness field specialist for Ohio State University Extension.